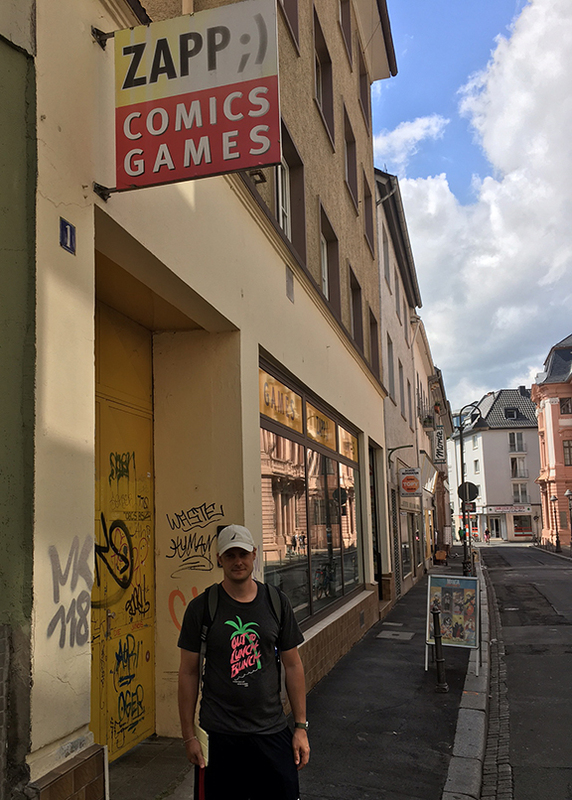 My son Thomas finds all the best comic book stores in every town we visit. In Paris he found, what we came to call Comic Book Row, which is an intersection and side street off Saint Germaine, on the Left Bank, full of specialty comic book stores (one shop specializes strictly in Tin Tin art prints). I was immediately stunned (and that is the right word) at the wide variety of Western comics and Western themed graphic novels shown prominently in almost all the stores. And we're not talking about just the old school titles like Lucky Luke and Lt. Blueberry, but new titles with big, over-sized, hard covers and excellent artwork on the inside. I bought as many as I could fit into my carry on suitcase, quickly went over that limit and decided to buy another bag to transport these home. They are that cool. A partial sampling of the Western graphic novels I bought in Paris, Mainz and Frankfurt. As I have studied them for the past several days, my amazement has given way to bewilderment. Why aren't these titles available in the U.S.? Or, better still, why isn't there a market for Westerns in the country that created the genre in the first place? 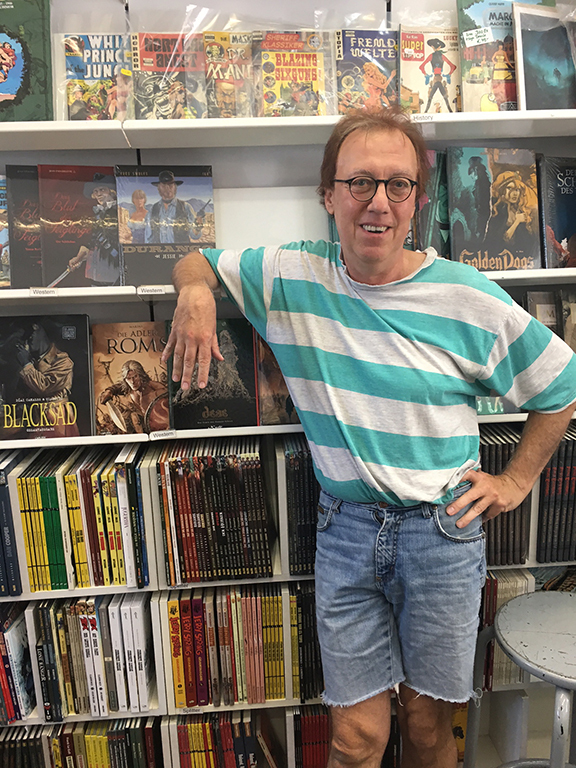 I asked the Frankfurt Comicladen X-Tra-Boox shop owner Ludwig Strzyz this question, and here is what he told me: "In the U.S. it's 90% super hero comics, and then in the back of the store, near the toilet, or in the toilet, is all the rest. In Europe we have big and healthy categories for Adventure and Western." Full disclosure: Wolfgang put on a tape of the Kink's "You Really Got Me," and I knew I had to buy something from this guy. We compared notes as drummers and rock music (at the check out counter he has a 24-hour cam site pointed at the crosswalk at Abby Road in England and we spent several minutes laughing in amazement at all the kids posing on the legendary site of the Beatles walking across the painted stripes).